The triangle, as we all learned in elementary school, turns out to be the most important shape in the world….well, at least in the soccer world. As a graphic designer, much like soccer players, we constantly look for angles. Some are meant to be more literal in design application, creating a flow, message or shape hierarchy, while others are more cerebral in context, shaping how you feel, care, or buy something. 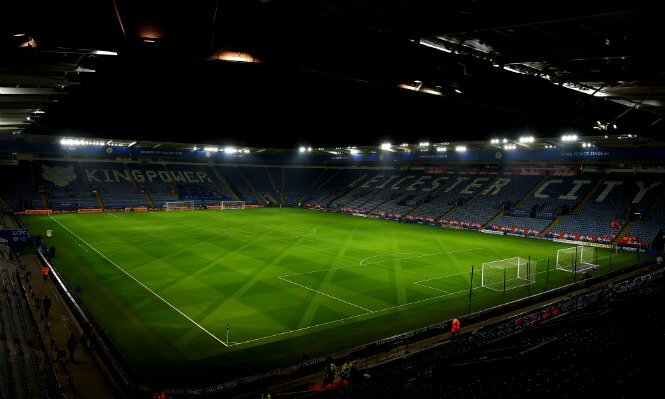 The Leicester City grounds crew did a fantastic job with the field design for their “Monday Night Football” matchup vs. Chelsea. The predominant triangle shape on the field makes up large squares, which over repetitive use makes up the large rectangular playing field. The smaller triangles are subtle from most viewing perspectives, while more obvious in others. This subtlety in angles is much like how the game of soccer is played. At anytime as few as two players use a triangular passing system to possess and move the ball around the field freely. The triangle is a simple and beautifully flexible shape that defines football like no other. Johan Cruyff said “Football is simple, but the hardest thing to do is play simple football.” And there within lies the paradox of design and this beautiful game. Once we learn the fundamentals of design; line, form, function, etc…we want to design our faces off, showing off our fancy moves. Eventually we mature, realizing the best solution for a design is often the most simple. In the same way a team of players effortlessly move the ball around the pitch with dynamic touches and clairvoyant vision, a designer utilizes type, content and shape to bring message, balance, and beauty to the visual format. There are always angles to be discovered, it’s simply a matter of moving.